Total E&P UK is extending a decades-long relationship with CHC Helicopter in the North Sea, awarding CHC a long-term helicopter transportation contract to support Total’s offshore operations across the United Kingdom Continental Shelf (UKCS). 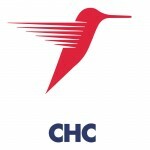 The contract calls for CHC to operate two Sikorsky S-92 and two Airbus EC225 helicopters on behalf of Total. The helicopters will fly from Aberdeen to Total’s Elgin-Franklin, Alwyn and Dunbar fields, as well as to the mobile drilling rigs Total E&P UK have across the UKCS. The contract is for up to seven years, includes options for up to two additional years, and will take effect in November. Total’s operations on the UKCS range from the Elgin-Franklin field, which is in the Central North Sea, about 200 kilometres east of Aberdeen, to the Alwyn field, situated 440 kilometres northeast of Aberdeen, and the Dunbar field, located 22 kilometres south of Alwyn. Total also has mobile drilling rigs on contract that operate across the UKCS from the Central North Sea to the West of Shetland region. Mark Abbey, CHC’s West North Sea regional director, said the award recognises his company’s long history of skill, passion and consistency flying on behalf of Total for more than 25 years. “Our pilots, engineers and support teams will continue to use their extensive experience over the North Sea to help Total to go further and do more across its many U.K. investments, and come home safely,” said Mr. Abbey. CHC Helicopter is a leader in enabling customers to go further, do more and come home safely, including oil and gas companies, government search-and-rescue agencies and organizations requiring helicopter maintenance, repair and overhaul services through the Heli-One segment. The company operates about 230 aircraft in approximately 30 countries around the world.